$100.98 Bill Your Cable Bill Too High? Reduce that cable bill. Is your $100.98/Month cable bill too high? 2019-04-19 - Month after month do your see your cable bill creep higher and higher? I have seen this over the years, extra services and channels they state and they are just covering the costs. Well I didn't ask for the additional channels or services, they just got tacked onto my bill. I loved the "Regional Sports Surcharge", what is that and why do I get to pay this fee? This page is dedicated to helping you understand your options in reducing your cable bill for good! USA Today has written the average cable bill has raised by more than 2.2% this year. How much was your raise this year? Did you beat your cable companies? In 2017, the average cable bill in the USA was $100.98/Month. Do you need all those services you are paying for them to deliver? The first thing to do is to pull out your cable bill from last month and look at it in detail. I am not kidding, read the thing and see if you can understand all you are paying for each month. You will likely be surprised to see FCC fees, local taxes, equipment rental, and warranty service fees might be present depending upon your service provider. Look at the packages you are "subscribed". 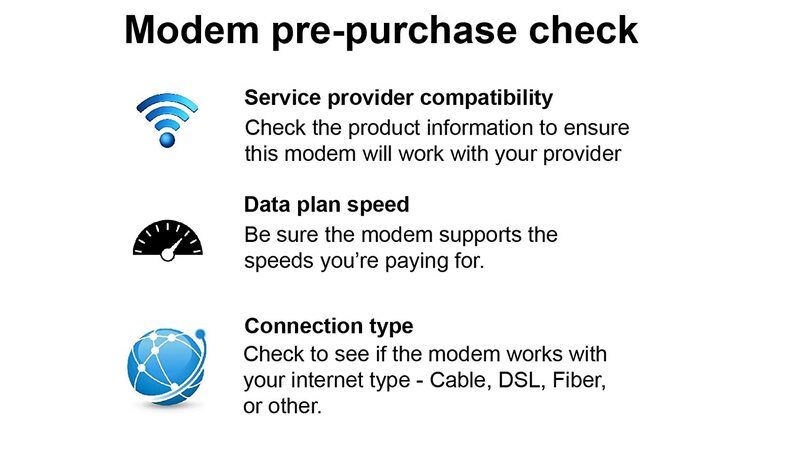 You might have 'broadband internet', 'telephone service', 'cable TV', and even 'cellphone service' as part of your bill. Each one of these services likely has options or tiers of service. You might be paying for the Top End service of all of these packages; do you need 200 MBS cable service if you are living alone or as a couple? Probably not! Do you have 225 channel cable TV service? Do you watch then all? Probably not! Can you call all of the US, Canada, and Mexico for free from your phone? Do you need unlimited service? Probably not! You can review this page to help you find options to reduce your cable bill which best fit your needs. Have you tried to negotiate with your service provider? It may sound funny, but NEGOTIATE with your cable company about your bill. Call them, spend the 45 Minutes on hold waiting to talk to a representative (HA Ya, usually not a lot of Reps taking calls) as it may be worth it. As more options for consumers develop over time, cable companies has authorized their Reps to "add discounts" or have special packages to retain customers. So how do you get access to this discounts? I need to reduce the amount of my monthly bills - Starting with a statement like this gives the Rep a "Problem" they can help you with. It doesn't automatically send you down the discount path, but gets your foot in the door in most cases. You may need to share some of your considerations and possibly actions you are willing to take to solve your problem. Figure out what is your least useful service from your current package - You will likely have signed up with a "bundled" service. It will probably include "HDTV", "Internet Cable", and "Phone Service". Depending on which you choose, the following buzz words/approaches may help. These are generally less threatening to the service provider, we will get into the more "call to action" statements later. HDTV - "I don't watch all those channels", "Can't I get just these individual channels... (name a few, CNN, MSNBC, Comedy Central, Discovery, etc...)", "Can I just pay for what I watch?" - There may be a lower-tier TV package that has all the ones you want but cheaper. Don't expect them to make "Your specific package" as they probably can't do that, but you might start to have a good claim for a discount as an "unhappy customer". Internet Cable - "I don't go online that much", "Are there cheaper Internet Plans? ", "Do I really need all thsi bandwidth?" If you are not streaming videos and playing real-time FRAGGing your friends on-line, you probably don't need the bandwidth you are paying for currently. Phone - "All I get are telemarketers", "I don't use it much anymore due to my cellphone", "Is there a cheaper plan?" - You probably get "Free Canadian and Mexico calling" with your UNLIMITED Phone service. We think how often if you just pay for the calls you make it would be cheaper than $40 - $50/Month for UNLIMITED callling. Some providers offer a metered phone service as well if you mainly just receive calls on your home phone. Talk about options - Now that you have your least favorite service, consider if you would cancel that service or if you need it without all the bells and whistles. Now talk with the Rep about your "concerns" about the target service. They will likely be able to find either a cheaper solution to fit your needs. Or if they feel you could be happer and keep your current service with a $10 or $20 discount, they might start talking about adding a discount to your service! You ask for a discount - Okay, you have tried and the Rep just is NOT taking the bait. Try to provoke the thought of the discount. "Do you have a customer loyalty or good customer discount?". This squarely puts the ball in their court as "NO" wouldn't be a great answer from a Customer Service Rep. Pretty much they are saying they don't value customers. You are unlikely to get the answer NO. If you still just want a discount, thank them for their time and tell them you will consider your options and call back later and hopefully get a different Rep. If you are done with a company that doesn't value you as a customer, it is time to bring out the ultimatum. HDTV - "I have found a lot of online services I can stream the channels I watch", "I am thinking of putting in an amplified Antenna for HDTV", "I want just BASIC CABLE" - You need to express there are options other the their HDTV service you are considering. "Basic Cable" is a federally mandated service where for ~$20/month they need to provider you with your locally broadcast stations (what you can pickup with an Antenna). Not that this Basic Cable might not be in HDTV format, so you might be giving up the crystal clear signal, but if you don't use it much what does it matter. You can stream many channels over your Internet, just make sure you do have an average bandwidth of ~40Mbps or so to make sure the quality is good. Internet Cable - "I don't think I need it in my house, I can tether my cellphone to my .....(Tablet, computer, TV, etc)", "I have a quote from [company name] for DSL, can you meet their price", "There is a wireless broadband service in my area that seems more cost effective tome" - Your cable company is not the only game in town, they know this, they might not even know your area, so you might be able to bluff your way through a "Quote" or "Wireless service" in your area. If they ask for proof to match the price, just tell them you would rather just switch to their service after you activate it, that will hopefully back off any arrogant request from a Rep calling your bluff. Phone - "I have a cellphone now so I don't think I need a Home Phone", "I am considering using a broadband digital phone service such as MagicJack or Ooma - You probably get "Free Canadian and Mexico calling" with your UNLIMITED Phone service. We think how often if you just pay for the calls you make it would be cheaper than $40 - $50/Month for UNLIMITED callling. Some providers offer a metered phone service as well if you mainly just receive calls on your home phone. Hopefully by now, you have managed to reduce your current cable bill, or find some alternative solutions to reduce your costs. ﻿If you don't stream videos and play real-time games on-line, you might not need the bandwidth of your cable company. If you only use Email or use your web browser to pay bills while online, get a quote from a DSL company to check the difference. These services generally start at $20/Month for 15 Mbps to 40Mbps and go up with additional bandwidth. You might even be able to replace your Cable service with DSL, get the same speed at a lower price. ﻿Learn about what is an Internet Service Provider (ISP)! Your cable company is likely your ISP and you could be paying more for services you don't need. ISP is the important connection between you and the internet, but your cable company may be providing more service to you than you need, at your expense. ﻿Provided by your Cable Company, internet service through cable (or fiber optics) will give you the fastest experience. Stick with the higher end internet bandwidth if you stream movies, watch videos online, or download a lot of software/music. Get FREE HDTV for your Home! There is a lot of HDTV programming broadcast in your area for Free! Use an amplified antenna system such as this to get the most channels in your area.